Update at 3:01 pm: A report comes in that the bulk of this fire has been knocked down, but fire crews still working the area. Update at 2:52 pm: Firefighters have gotten a good handle on the fire north of Crescent. 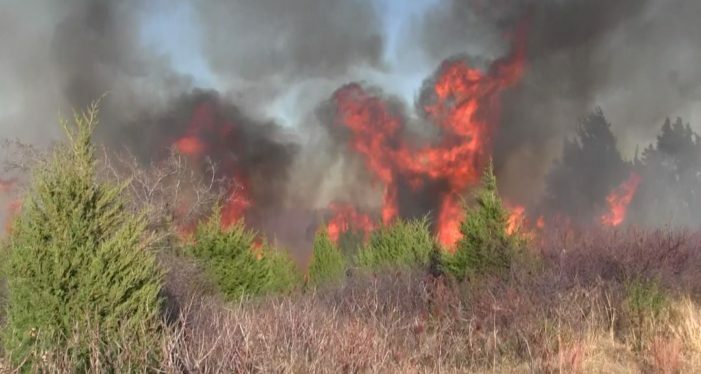 Fire crews from around Logan County are battling grass fires in Logan County on Wednesday afternoon. The largest of the fires is near the Mulhall area in around 80th and Major Road. Homes are in line of the fire as crews from multiple counties make their way to the fire. The fire is reported north of the Cimarron River and east of I-35. The Crescent Police Department and Logan County Sheriff’s Office are providing traffic control on a fire north of Crescent as the fire has jumped the road. The fire is in the area of Highway 74 and County Road 68. There is a report of several hot spots in the area with this fire.